Wine cellars, pizza ovens and other high-end amenities typically seen in the hospitality sector have been making a splash in senior living in recent years, but these may be just the tip of the iceberg of what’s to come. 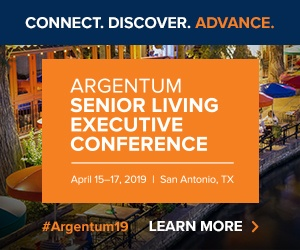 Former hospitality leaders are making a noteable mark on the industry, and they are showing that there are many more opportunities for senior housing to take cues from the hospitality sector in operations, development and design. For Adam Kaplan, senior vice president of business and organizational development at Chicago-based Senior Lifestyle Corporation, senior housing and hospitality go hand-in-hand. Kaplan has a degree in hotel and restaurant management from Cornell University, and has had multiple internships in hotels and restaurants including luxury hotel chain Four Seasons Hotels and Resorts and restaurant group Lettuce Entertain You. But prior to pursuing a hospitality education, Kaplan was immersed in the senior housing space. His father, Bill Kaplan, founded Senior Lifestyle Corp. in 1985. Ultimately, it’s the caliber of the service experience that sets providers apart and drives high yet sustainable levels of resident and family satisfaction. “As a result, I challenge my team to think about how our decisions impact the level of engagement of our staff and the quality of the service experience of our residents and their families,” he says. Aside from obvious regulatory differences between the two industries, the hospitality industry has done a significantly better job attracting and developing talent, which continues to be a challenge for the senior housing space, he says. But the challenges those with a hospitality background see in the senior housing space are also opportunities. BrightStar Senior Living, whose founder is a former hotel owner, is planning a five-year, 100-property pipeline of assisted living communities to be built and operated through a franchising format. And while the feel of a community is created by those entrusted to care for residents and greet prospective community members, it’s all in the details, says Jeanna Korbas, vice president of design at Milwaukee-based Direct Supply Aptura, a senior living development services firm. Korbas hails from the hospitality world, most recently serving as director of interior design and development at Hyatt Classic Residence (now known as Vi), a high-end senior housing developer, owner and manager—which was then owned by privately held by luxury hotel owner Global Hyatt. But, when in an older age setting, it’s also important to understand how the aging eye perceives color, notes Korbas. While senior housing may represent to many an industry straddled with traditional, less experimental views, Korbas has been surprised to see the opposite. Creating spaces that give the end user a unique experience and the efficient use of square footage to create those spaces are two key lessons taken from the hospitality sector Korbas says she applies daily in senior housing. The challenge is, she says, is that square footage is at a premium in many senior housing buildings. “Being creative about how we flex those spaces from day to night to change the experience of that resident is key,” she says.